I've melted short crayon pieces in the past, using silicone molds. 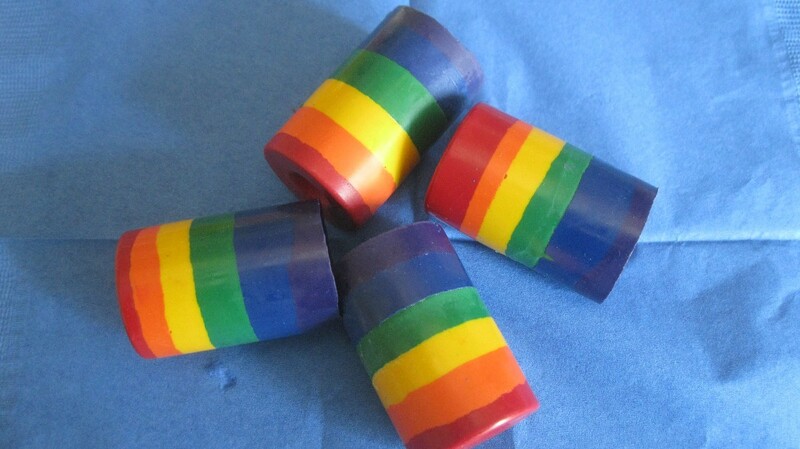 But, I saw a different idea that looked like fun using empty medication canisters. Spray the containers with a little cooking spray. Then get to work getting the wrappers off the crayons. Soaking them in warm water for about 15 minutes seems to get a lot of it off, not all of them, though. Separate the colors into clean cans. Melt your first color. 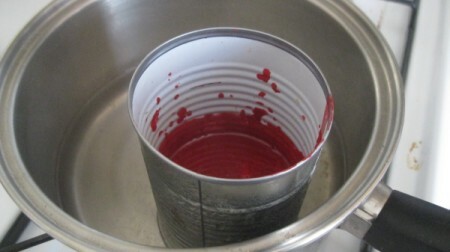 Place the can in a pot of simmering water, about an inch deep. Stir with a chop stick or Popsicle stick. Once melted, very carefully pour the wax into the canister, try to not get the wax on the sides. Melt the next color; repeat until finished. 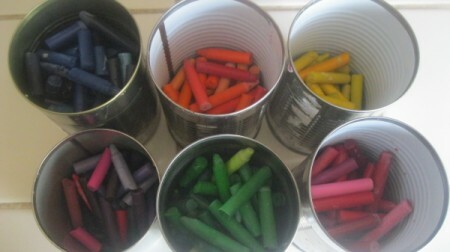 Let the crayons cool for a while. Give it a tap and the crayon should slide out. 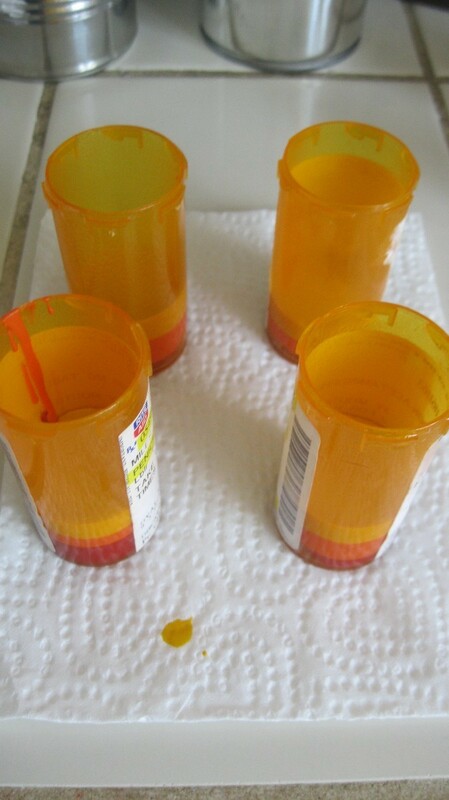 Be careful of the medicine bottles that have ridges on the inside. I did a few of those and didn't realize that they wouldn't come out. Make sure the bottle is completely smooth on the inside. These are beautiful and very cool!